Ruth Taber, writing for the El Paso Times, reviews the newest edition of Candy Harrington's industry standard book on travel, "Barrier-Free Travel -- a Nuts and Bolts Guide for Wheelers and Slow Walkers." Continue reading Standards and Anthropomentry for Wheeled Mobility. Where will we find empirical evidence for the benefits of Universal Design? The Academy of Neuroscience for Architecture seems well-suited to researching the question. Continue reading The Academy of Neuroscience for Architecture. Christopher Elliot has written an interesting piece called Disabled Access to Kiosks that examines and important, put understudied aspect of inclusive travel. CANTERBURY, ENGLAND--Hilary Lister broke two records Tuesday, becoming the first quadriplegic sailor to navigate alone across the English Channel, and taking the longest solo voyage maneuvering a boat using sip-puff technology. Lister sailed the 21 miles from Dover, England to Calais, France in just six hours and 13 minutes. Because of her disability, reflex sympathetic dystrophy, the 33-year-old can only move her head, eyes and mouth. She piloted her 27-foot-long sailboat using a mechanism, similar to one on her wheelchair, in which she sips and puffs on two straws connected to switches to control the boat's sails and the tiller that steers the boat. Lister took up sailing just two years ago as a way to help boost her self-confidence, she says. She used the Channel crossing to raise money so that other people with disabilities can experience the joy of sailing and to make more people aware of what people with and without disabilities can do. "I want to get able-bodied people to rethink their views about the disabled," she said. "We do not need wrapping up in cotton wool and can go out and do silly or dangerous things if that's what we want to do." At the end of the adventure, Lister announced that next year she plans to navigate around the entire United Kingdom. Continue reading Sail the English Channel. Doug McAllister has been advocatiing for Universal Design in his community since 2003. Now, as city councilperson in Murieta, California he has introduced Visitability standards for the city building code to be considered by the City Council. Initiatives such as McAllister's address the lack of standards and regulations affecting the construction of accessible private homes. Unfortunately for McAllister's strategy, the state of California has retained to itself the prerogrative to author and promulgate Universal Design standards in order to guarantee uniformity statewide. Continue reading Visitability in Murrieta, California. Caroline Walsh has established Access to Marine Conservation for All International (AMCA). While the Handicapped SCUBA Association (HSA) focuses on training divers and dive instructors, AMCA has a research and conservation orientation that is unique in advocating inclusion. As many divers with disabilities are quick to point out, the water environment is a great equalizer. Continue reading Caroline Walsh @ Access to Marine Conservation for All International. Dave Player, of Wheeling Around the Algarve, has a passion for travel, sports, and accessibility. His dedication keeps this portion of southern Portugal on the map for travelers with disabilities and contributes to the development of the Algarve as an inclusive destination. His most recent inititaive is the First Open Handbike Circuit Championship. 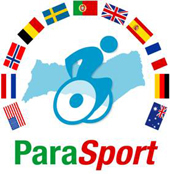 Continue reading Algarve, Portugal Hosts Inclusive Sporting Competition. http://www.sittinfishin.com combines passion and insight into inclusive outdoor recreation in Canada. to provide our clients with an affordable service that will help them make their businesses, homes, cottages, docks and fishing sites more accessible to mobility challenged persons and their families. to provide mobility challenged people, of all income brackets, and their families with a list of accessible fishing sites. This will include everything from sitting on a public dock or shoreline to a full accommodation facility. Continue reading Danny Winters @ Sittin Fishin. Continue reading Germany: National Coordinating Office Tourism for All. Universal Design at Home Depot? What if Home Depot Foundation adopted the vision of Universal Design as sustainable development layed out in the Carta do Rio? The Home Depot Foundation, funded by the duo of do-it-yourself-design stores -- Home Depot and Home Expo -- does the affordable housing industry great service with their well-reasoned funding priorities. Enlarging their focus to integrate Universal Design philosopy would enhance the poistive impact of their philanthropy. Continue reading Universal Design at Home Depot?. Did you ever wonder where the safest places on earth are? Well Columbia University and the World Bank can tell you. Researchers at the two institutions have gathered data showing which parts of the world have been most ravaged by nature -- floods, droughts, earthquakes, cyclones, volcanos and landslides -- over roughly the past 25 years. The Atlantic Monthly says the research is intended to help identify those areas of the globe where prevention should receive the highest priority but it may serve to identify those areas where the dangers of natural calamity are smallest. Those wanting to avoid risks during vacations should head to Siberia or north-central Canada, the safest places on Earth. Judith Shinsato has an interesting report in Building Industry Hawaii Online (May 2005) that begins to examine trends in hotel to condominium conversions. While feng shui consciously figures into the design process of some projects she has reported on, the lack of mention of Universal Design is surprising in as sophisticated a tourism market as Hawai'i. Interestingly, the next piece in her column reports on accessibility retrofitting in private residences. Doesn't it seem likely that the same needs driving owners to build inter-generational comfort into their private homes will cause buyer to choose universally designed condotels when the industry begins to build them? Continue reading Hotel to Condominium Conversions. "Trang web cá cược trực tuyếnArchitectural Literacy," an article inspired a piece written by the Washington Post's Jeff Turrentine, was published in the Travel & Disability" section of Suite 101 today. When is a ramp not the right design solution? Continue reading Beyond the Ramp. Matt Laffan is an Australian lawyer, public speaker, and traveler who experience and stature give him authority on Inclusive Travel. He speaks from the perspective of a wheelchair user - which is fairly common in this field - and as someone who is physically small - which is much less common. Continue reading Explore Australia with Matt Laffan. Try them out on the "Southpoint: from Ruin to Rejuvenation" competition. Do some Inclusive Destination Development and win the ENYA Prize! The Southpoint: from Ruin to Rejuvenation competition is an effort to provide young and emerging architects and designers with the opportunity to engage in the development of the southern tip of Roosevelt Island. The site, located at the ruin of James Renwick Jr. Smallpox Hospital, will provide a platform to discuss issues of preservation, an opportunity to take advantage of glorious city views, and a chance to access a unique and inimitable physical environment. Inspired by its tradition of being a public gathering space for the Fourth of July festivities and a transient art installation space, the universal arts center program will call for a multi-use facility that can accommodate both performing and visual arts. Designed with the entire Roosevelt Island constituency in mind, the competition will be tailored to fit an arts organization with a number of community outreach programs. Ideally, these programs would include, or perhaps even cater to, the high percentage of disabled residents on the island. Execution of this program brief will address a number of fundamental design issues including the use of universal design in adaptive reuse projects. Continue reading Universal Design Competition. Kudos to the Minnesota Manufactured Homes Association for leadership in its field! A quick glance through recent posts at the Rolling Rains Report will turn up information on Universal Design in rural America's homes and progress toward Universal Design in the New Urbanism philosophy. A little deeper search on the keywords "Universal Design" at the site will reveal items on island resorts, desert entertainment centers, cruise ships, and regional conferences. Below is the first mention I have come across of the adoption of Universal Design by the manufactered homes industry. The Minnesota Manufactured Homes Association has responded to market demand for Universal Design by considering its demographic which is, not surprisingly, similar to those who frequently take cruises. As Universal Design become standard in homes, aren't you glad the US Supreme Court decided that accessibility is required in cruise ships operating out of US ports? Continue reading From Manufactured Home to Shining Sea: Universal Design. Continue reading Report on the Human Rights of People with Disabilities. While debate remains over whether the ostensibly forward-thinking New Urbanism movement is capable of integrating Universal Design, it seems to be taking root as the common-sense approach in rural America. Build a home to last your lifetime. The examples at the Review will give visitors the opportunity to consider universal design features for their own homes. Universal design is not a choice meant only for people with physical limitations. 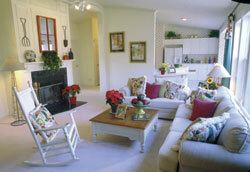 ?There are many benefits for everyone to use universal design when remodeling or building,? Bowlin said. ?We plan to make the visitors aware of the benefits by examples.? Continue reading Universal Design at Ohio's Farm Science Review. The UN General Assembly?s Ad Hoc Committee on a Comprehensive and Integral Convention to Promote and Protect the Rights and Dignity of Persons with Disabilities is meeting to work on this historic document. under draft article 20, States are to take measures to ensure liberty of movement with the greatest possible independence for persons with disabilities, including by facilitating access to mobility aids, devices, assistive technologies and forms of live assistance and intermediaries. States should promote universal design, as well as research, development and production, for mobility aids, devices and assistive technologies; and provide training in mobility skills to persons with disabilities and to specialist staff working with them. Continue reading UN Ad Hoc Committee on a Comprehensive and Integral Convention to Promote and Protect the Rights and Dignity of Persons with Disabilities. In the article, Advice for Travel with a Canine Companion, I profiled one resourceful canine and his human travel companions. Recently, I learned of a national effort by the California Hotel & Lodging Association Educational Foundation to make travel with service animals easier: ?We Welcome Service Animals.? The project has, according to California Hotel & Lodging Association President & CEO, Jim Abrams, "created two videos and collateral materials. The first video, "Welcoming Service Animals," is a 9-minute training video, in English or in Spanish, for management and employees of hotels and restaurants. The other video, "Responding to Service Animal Calls," is a 9-minute squad room training video for police and sheriff personnel." To date about 100 kits have been distributed. The organization is seeking additional funding to distribute these timely materials even more widely. Continue reading We Welcome Service Animals?. John P. S. Salmen @ Universal Designers & Consultants, Inc. Even if John Salmen were not already a renowned practitioner of Universal Design, his statement in "Design of entrance ramp shouldn't cut off home's residents" that ramps are "an indication of a mistake on the part of a designer," would have caught my attention. His statement cuts to the heart of good design. Inclusion through design increases the quality of life of those who encounter a universally designed building. Universal Design is a human-centered approach that takes into account variability in human abilities - between individuals and within one individual over time - and so it moves accommodation for all from the realm of "sterile afterthought" to "stylish inclusion." Adoption of Universal Design has implications for everyone from aging Baby Boomers who want to stay in their homes, to designers of exclusive vacation getaways, to survivors of last winter's Indian Ocean tsunami who want their homes, businesses and resorts rebuilt to allow participation by young and old; temporarily able-bodied and disabled alike. Those of us who already benefit from Universal Design's concrete invitation to full social participation appreciate well-written and informative articles such as this one by Washington Post writer Jeff Turrentine in which John is quoted. As we assist the hospitality and tourism industry keep up with new expectations of comfort resulting from adoption of Universal Design in homes our efforts benefit from good public education in the media. Continue reading John P. S. Salmen @ Universal Designers & Consultants, Inc..
Take your pick - Northern California in August or Northern Virginia - each location offers a community education event on Universal Design. A note to the attentive entrepreneur: There is a gap in his line-up of events - a symposium on Universal Design for the hotel. motel, and hospitality industry in, let's say, the Midwest this Fall? Continue reading Two Regional Universal Design Conferences in the US. "The curriculum had traditionally housed disability in a very sequestered area?how to fix people and take care of them. Disability studies is us looking out at the world and seeing how that looks to us." It also critiques "how disability is represented in all kinds of texts?in literature, film, the annals of history." It is no surprise that the disability studies field also monitors carefully for inclusive travel developments in the travel and hospitality industry. The field of Disability Studies provides the intellectual motivation and rigor behind the growing literature in tourism and people with disabilities. The Open Doors Organization has published its most recent study of the travel behavior of Americans with disabilities. Again it reveals unmet demand and market potential as well as increased travel in spite of ongoing accessibiity issues. A key addition to this year's study is documentation of traveler destinations - useful information for Inclusive Destination Development initiatives. Continue reading Measuring the Demand for Inclusive Travel in 2005 - Harris Interactive Study. The research agenda of the US National Institute on Disability and Rehabilitation Research (NIDRR) exerts a significant influence on the quality of products, services, and policies directed to the disablity community. The NIDRR is taking comment on its plan to pursue the five areas on whicH it focuses: employment; participation and community living; health and function; technology for access and function; and disability demographics. Each has relevance to Inclusive Tourism and Inclusive Destination Development. Continue reading NIDDR Long-Range Plan. Continue reading Calling Emerging Leaders with Disabilities. While San Diego, California is the first US city where there have been publicly announced plans to hold an Inclusive Travel Fair, Chicago has been slowly amassing a selection of tourist sites that accommodate the growing market for travelers with disabilities. Chicago's ABC affililiate filed the following story: http://abclocal.go.com/wls/news/karenmeyer/072605_disable_chicago.html. If US mayors systematically embrace Inclusive Destination Development the US might find itself with enough in-bound travel products to imitate the European Union and several of its memeber states, Japan, Australia, Brazil, Taiwan, and other countries who have held national conferences on travel and Universal Design.